The dwarf Lisbon lemon tree, despite its diminutive size, delivers full-sized fruit. The Lisbon lemon is a bit more tart than the Meyer lemon and more cold hardy than the Eureka lemon. Lisbons also have fewer seeds than other lemons, making them a popular choice for making lemonade. The skin is thicker, as well, which may be of interest to the culinary gardener that uses a lot of lemon zest. Plant your dwarf lemon tree in the spring in USDA zones 8 to 11. 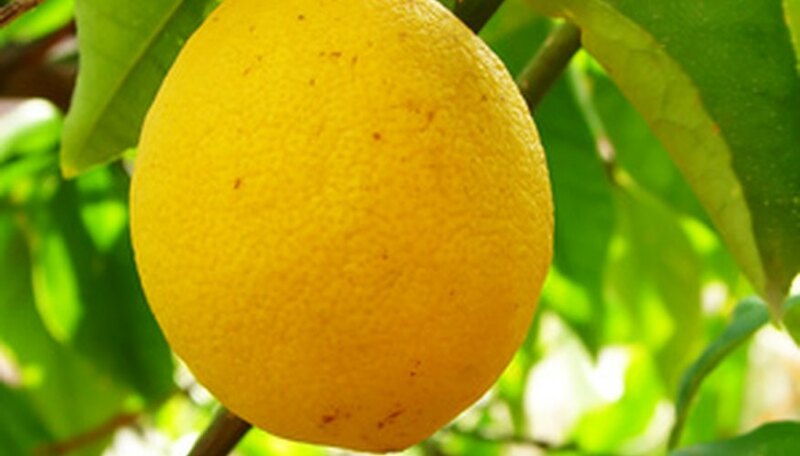 Choose a location in which to plant the dwarf Lisbon lemon tree. The tree requires six hours of sunlight a day, protection from wind and well-drained, acidic soil. If you are unsure of the acidity level of your soil, perform a soil analysis. The pH should be between 5.5 and 6.5. Your country cooperative extension agent should be able to recommend soil amendments to bring the pH of your soil to the required level. Amend the soil, if the soil analysis recommends it, by adding amendments to the existing soil and mixing in well with a garden fork. Dig a hole the same depth and twice the width of the pot in which the dwarf Lisbon lemon tree is growing. Remove any fruit that is growing on the tree. Tip the pot over and lift the plant from it. Gently loosen the root ball with your fingers. Place the roots of the dwarf Lisbon lemon tree into the hole and backfill the hole, halfway, with soil. Fill the hole with water, allow it to drain, and fill the rest of the way with soil. Tamp the soil around the base of the tree. Water the tree, slowly, until the first two inches of soil are wet. Allow the soil to dry to within the top 3 to 4 inches prior to watering again.